just up the pike: do concerts make wheaton youth center historic? do concerts make wheaton youth center historic? Update: The Planning Board ruled that the Youth Center should become a historic landmark. Wheaton residents want a new recreation center, but historic preservationists say the current one, where Led Zeppelin allegedly played a show in 1969, should stay. On Thursday, the Montgomery County Planning Board will hold a public hearing about whether to make the Wheaton Youth Center a historic landmark. The Wheaton Youth Center today. Photo by Clare Lise Kelly. County officials are already planning to demolish the Wheaton Youth Center and adjacent Wheaton Regional Library, both on Georgia Avenue a few blocks north of downtown, and replace them with a new, combined facility that would also hold the Gilchrist Center for Cultural Diversity, the county's welcome center for immigrants and new residents. The county has set aside $36 million to build the complex, which could open as early as 2016. Everyone seems to agree that the library, a brown bunker built in 1960 and renovated in 1985, deserves to go. Some feel the same about the youth center, citing its leaky roof, moldy carpeting and broken kitchen appliances. But historic preservationists want to save the Japanese-inspired building, whose concerts with nationally touring bands are the subject of a new documentary. One county planner has proposed a way to build a new building while saving the old one. During the 1950's, Montgomery County noticed that local teens were anxious for places to hang out but had nowhere to go. 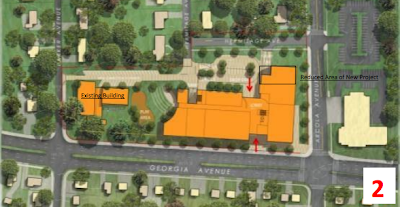 The Park and Planning Commission proposed building "youth centers" across the county where teens could gather and hired renowned local architecture firm Keyes, Lethbridge & Condon to design them, but only two were built, in Bethesda and Wheaton. The Velours play at the Wheaton Youth Center in the 1960's. Photo from the Montgomery County Planning Department. The Wheaton Youth Center opened in 1963 and won an award from the American Institute of Architects for design excellence. 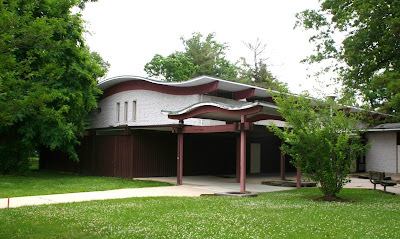 Architect Arthur Keyes, who passed away in 2012, said Japanese architecture inspired the youth center, from the curved rooftop to rooms based on the proportions of 3-by-6 foot tatami mats. Fresh and exotic at the time, the design seemed to fit the idealism of its young clients. 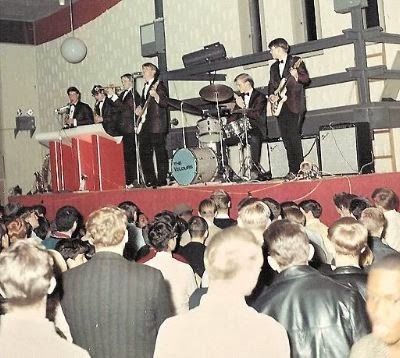 And it worked: the Wheaton Youth Center quickly became a cornerstone of the youth scene, first hosting local teen bands, then later nationally-touring musicians like Rod Stewart, Iggy Pop, Bob Seger, and Led Zeppelin, which reportedly played their first US show there in 1969. Those who were around at the time say the youth center's Battle of the Band contests helped bridge the gaps between blue-collar Wheaton kids, who enjoyed R&B and soul music, and white-collar kids in Bethesda who preferred rock-and-roll. The youth center eventually lost its hold on the music scene. The Recreation Department staff who supported the concerts moved on, and larger, dedicated spaces opened for touring bands to play at, like the Capital Centre in Landover, which opened in 1973. 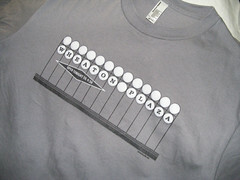 But Wheaton remained a place where kids came to hear and make music. During the 1990's, the club Phantasmagoria a few blocks away hosted touring bands and anchored the regional ska scene before the county bought and turned it into the Gilchrist Center for Cultural Diversity in 2001. The center moved to Wheaton Regional Library a few years later. Can we remix the youth center? It's clear the existing library, youth center and Gilchrist Center aren't meeting the community's needs. Residents are impatient for a new recreation center and library, and County Council President Nancy Navarro says she's worried that historic designation to get in the way. And architects Grimm + Parker's early designs for a new facility are promising. It brings the building right up to Georgia Avenue, asserting its presence as a significant community institution and gathering place and making it easier for those coming by foot, on bike or on transit to get there. Early design for the new combined library, recreation center, and Gilchrist Center. Planner John Carter's proposal for saving the youth center while building a new, smaller facility next door. 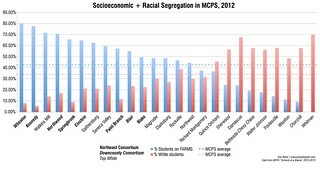 Both images from the Montgomery County Planning Department. But the current youth center is by no means beyond repair, and there could be a way to save it while giving Wheaton the new recreation center and library people want. 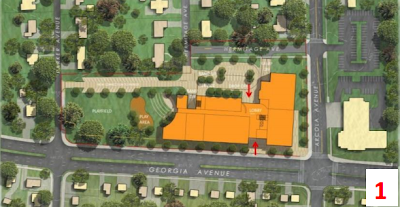 In a memo to the Planning Board, county planner John Carter proposes restoring and reusing the youth center as the new Gilchrist Center, while building a new, smaller rec center and library next door. The result is a sort of "campus" of public buildings with a play area and amphitheatre in the middle, as opposed to having it off to the side as originally proposed. The Gilchrist Center gets its own space instead of being on the second floor of a larger building. Wheaton gets a new rec center and library, while saving a unique part of its architectural and musical identity. Some downplay the Wheaton Youth Center's significance to music history. The Gazette ran an editorial asking "since when has rock 'n' roll been about bricks and mortar?" The answer's obvious to anyone who's been to CBGB in New York, which helped spawn punk and New Wave in the 1970's; 924 Gilman in Berkeley, the all-ages space where Green Day got its start; or even the Birchmere in Alexandria, which developed DC's bluegrass scene. Music doesn't happen in a vacuum: it happens in places, with people and scenes and, yes, physical buildings. There's no shortage of buildings from the 1950's and 1960's in Montgomery County, many of which are past their useful life and were rightfully demolished and replaced, like the old Paint Branch High School in Burtonsville, built in 1969. Other buildings, like the Flower Theatre in Long Branch, have lost much of their original features but still have some things worth saving. And a select few have not only the architectural but cultural significance to justify saving them, like the Wheaton Youth Center. Montgomery County is fortunate enough to have the means to build new, state-of-the-art public buildings, whether with the Wheaton Youth Center in 1963 or its potential replacement today. The community needs a new recreation center and library, but that doesn't mean we should simply wipe the slate clean. Whether or not Led Zeppelin played at the Wheaton Youth Center, there's plenty of merit to save it. Even if you don't like the building,it's evidently not a "bunker." I didn't like broccol when I was kid, either. But then again, I wasn't blogging restaurant reviews back then. Both of the designs look like there is a significant reduction in parking from what is currently available and often very well used at the library. The site is blocks from Metro rail and most library users don't use transit to get to the library anyway. If there is inadequate parking, the three facilities in the new building will be underused or there will be a big spillover parking problem in the neighborhood, or both. I was a teen hang out at the center and saw some pretty interesting things. Yes its design is interesting but the community is better served by a more modern, larger accommodation. Take some of the design elements and repurpose them into the design of the interior of the new building to preserve the sense of place. The effort to designate the Wheaton Youth Center as historic has appeared to be a nuisance to the Planning Board. Those of us having testified previously were prohibited from speaking again. The media has had a clear slant against the historic designation and has been less than gracious about it. The media has basically mocked the musical history side of the issue and has deliberately ignored the legacy of very good the Center did for young people and what became of them. They won ... the Planning Board and media are getting what they want. But I predict that tours of the new facility will include broad smiled stories about the Center's musical past. Well, I have learned I jumped the gun. In fact, the Planning Board voted 4-1 to recommend to the County Council that the Wheaton Youth Center be designated as historic. Now on to the next step!! Do you live in the area? Will you frequent any of the proposed facilities? If not, your opinion on the "historic" relevance of the youth center should carry little weight compared to those who will. The Planning board supported keeping the building only with the understanding that it will be converted in the Gilchrest Center, essentially becoming a shell for new office spaces. It will retain none of the interior purpose that it now has. On top of this, there is no current estimate for the cost of proper renovation, an issue which may delay the construction of the new facility.